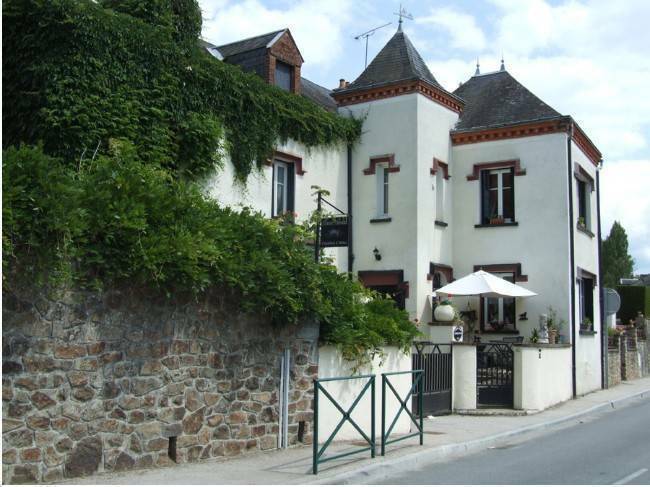 This family run Bed and breakfast is situated on the outskirts of the market town of Magnac laval near Limoges. An ideal stopover between the ferry ports and Frances South coast and Spain. As we are situated 10 minutes from junction 23b on the A20 motorway, the main motorway heading to the South, Spain and Portugal. Great if you want an overnight stay without the worry of getting lost in a major city like Limoges, although only 1/2 hour Drive to Limoges means you can be in the city very quickly for a meeting etc. 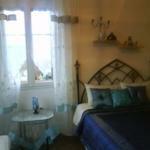 having four bedrooms to let in this family run chambres d` hotès. With private pool. Complementory drinks on arrival. free hot drinks throughtout your stay in the dining room. Unlike hotels in France breakfast is included in the price. Free hot drinks in the dining room anytime throughtout your stay (everything to make your self). Complementory wine beer or soft drink on arrival. 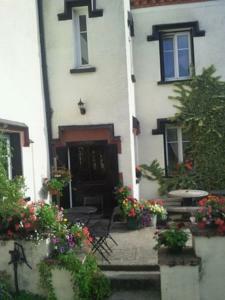 The house has private parking the rear in the large garden which has a sun terrace with loungers and BBQ. Fishing permits are available at the local shops and bars for the nearby lake and river Bram. Limousin is an area full of historical and natural interest. 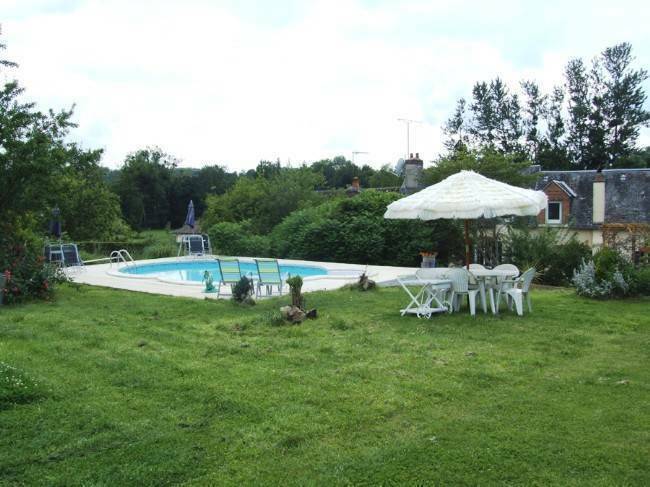 The property lies in a rural area surrounded by open countryside and several small villages and medieval towns of Le Dorat, Bellac, Chateauxponsac, Montmorollon and Poitiers there is Futuroscope (3/4 hr drive) Limoges (25 min). Close by is the beautiful Lac de St Pardoux with its beaches and camping and resturants, water slide, wind surfing and Boating /pedalos. Most towns in the region have some historical interest, none more so than Oradour sur Glane which was destroyed by german soldiers in 1944 and remains today as a monument to its former inhabitants. Not far away is the Kayak centre of fance at Lathus, Horse racing takes place at Le Dorat, and La Rochefoucauld boasts a Grand chateau and chocolate factory, both worth a visit. The nearest Airport in Bellegarde at Limoges, Potiers is also near, both with daily flights to and from Stanstead. 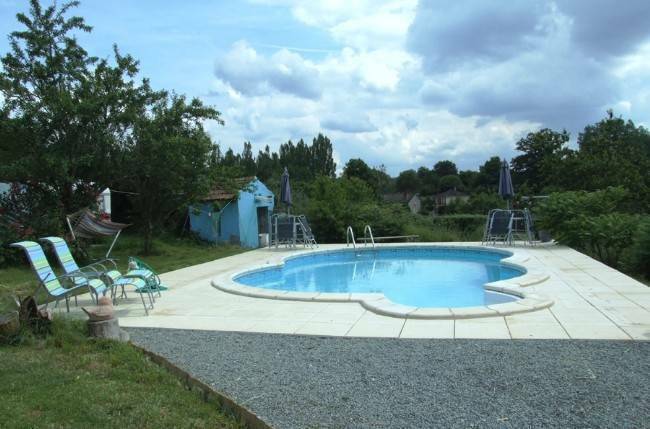 The nearest railway is five minutes away at Le Dorat ( pick-up available) this connects via Paris to Eurostar. Magnac Laval itself has a supermarket, two pharmacies, three boulangeries two hairdressers six bars most serving meals, a bank, a post office and various other shops. There are several good French resturants in the local area for dining out. 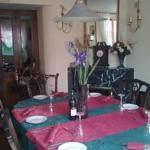 especially helpfull to those wishing to view properties or getting to know the area on house hunting trips. Daisy room, Double en-suite large room with seating area and TV and tea and coffee facilities. Sunflower room Sleeps up to 4 in 2 double beds and 2 single beds. Ensuite recently refurbished room with Flatscreen TV and tea and coffee facilities. Magnac laval is a busy market town of three thousand inhabitants, it is a picturesque town with the church of St Eglise dominating the skyline, there are all facilities you would need for your holiday there. Six Café ¢ars, two having resturants and two sell cigarettes and one is a bookmakers. There is a Eco-marche supermarket, two pharmacies and several hairdressers and two banks, and a small Market on a Thursday, there is also a post office and several breadshops. In the summer there are loads of lovely walks around Magnac Laval, you can get a permit and go fishing in the local river (20 yards) from Sunset House or the local lake (1 km). You can hire a bike from us and go for miles, take a picnic and spend the day on your bikes! You can take a evening stroll and go to one of the local bars and have an evening drink.